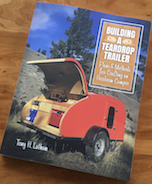 Teardrops n Tiny Travel Trailers • View topic - Hatch Latch? I figured I should ask here as my last latches didn't work out. I'm having difficulty finding a latch that will work for my hatch. It is a full size 4x4 square back that opens up. The latches on there now are flimsy over center latches for a case lid and too small. 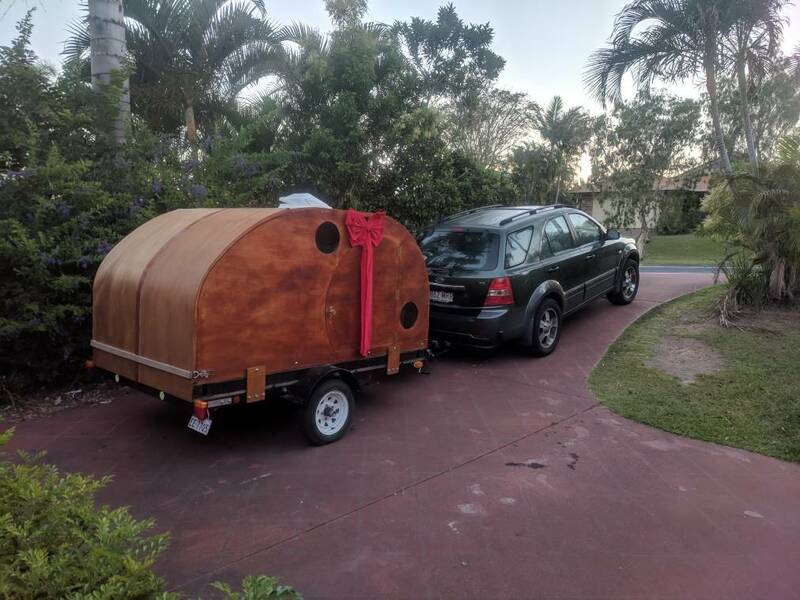 I'd like the latch to hold the hatch firmly against the trailer to keep movement down on rough highways. Any ideas are considered helpful. Zoom in on the picture to see mine. One on each side of the hatch. They are sturdy and you can adjust the tension. I got them at a hardware warehouse chain we have here in Australia called Bunnings. Thanks for the Perco link SC. Some nice latches there. Edgeau, I've seen over center latches like yours on Amazon. I have a difficult time visualizing the size. Some seem very small but I am thinking of going that route. Tony has a nice latch he was using from McMaster, I can't find it right now. Maybe he will chime in. My 4x8 squareback TTT has a completely vertical, flat, 3/4" plywood hatch door (49.25" high x 48" wide) hanging from 3 gate hinges. 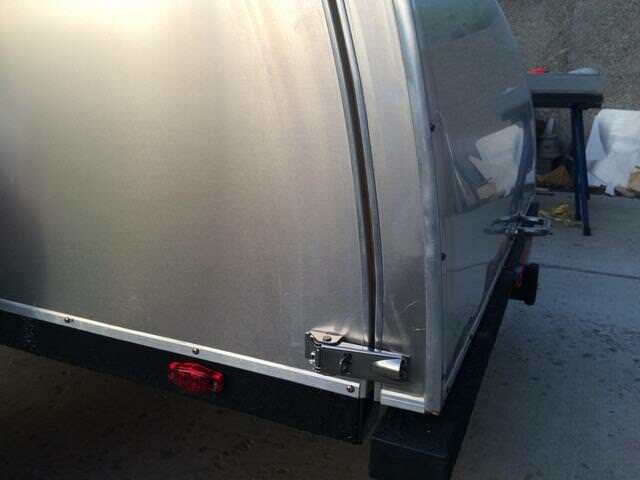 As originally installed, there was a ever-so-slight gap between it and the edges of the sidewalls, roof, and the end of the trailer frame, and I used a small bulb seal (1/4") to seal that perimeter interface. The hatch was held closed by two Masterlock stainless flexible hasps, with padlocks attached. That worked fine for a couple of years, with the sturdy hinges preventing any lateral movement, and the hasps required some effort to compress the seal, and further insured a close-fit. But later on, the hatch showed signs of slight warpage (<1/8") near the bottom, since there was no closure device near that area (the hinges at the top, and hasps located about 18" from the bottom, didn't exert enough pressure to hold the unsecured bottom snug against the seal). I fixed that problem with small right-angle stainless draw-latches added near the bottom of the hatch door. working on it wrote: Mod # 2) After 6.5 years, my solid 3/4" plywood hatch is starting to show ever-so-slight signs of warpage, not really noticeable, but leaving gaps sealing it up. 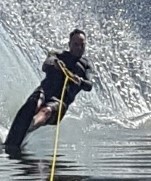 I started out with only a set of manual flexible hasps holding it shut, then added two right-angle draw-latches at the bottom sides a couple of years later. Now, four years further on, I added two more draw-latches (the same as the other ones) 16" from the top of the hatch. Now, there are no gaps when closed. 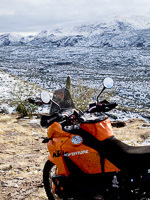 KTM_Guy wrote: Tony has a nice latch he was using from McMaster, I can't find it right now. Maybe he will chime in.